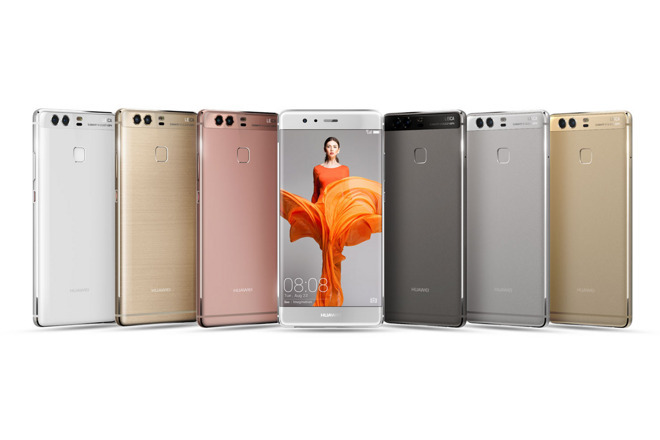 Huawei's new P9 handset is a photography-focused smartphone featuring a dual-lens 12-megapixel camera. To promote the handset, Huawei uploaded a picture to Google+, implying that the image was captured via the P9. However, Google+ uploads include the EXIF data for each image, revealing what hardware was actually used to capture a picture. In the case of Huawei's promotional image, the photo was shot with a $4,500 Canon 5D Mk. III and EF70-200 f/2.8L IS II USM lens. After the true source of the image was publicized, Huawei removed it from its Google+ account, and issued a statement to Android Police admitting that the picture was not taken with the P9 smartphone. Instead, Huawei said, the photo was captured while filming an advertisement for the P9. "We recognize that we should have been clearer with the captions for this image," the company said. "It was never our intention to mislead. We apologize for this and we have removed the image." It's widely rumored that Apple's forthcoming 5.5-inch iPhone, expected to debut in September, will also feature a dual-camera system. Claims about the new camera array date back to 2014, when it was said that Apple's implementation would somehow offer "DSLR quality imagery." To presumably bolster its development of a dual-camera system, Apple in 2015 acquired LinX, an Israeli firm that specialized in squeezing high-definition images out of relatively small multi-lens configurations. It's believed that this year's so-called "iPhone 7 Plus" will use LinX technology and 3 gigabytes of RAM to handle much higher quality photos than ever before captured with an iPhone. Whether Apple's implementation can rival actual DSLR cameras remains to be seen. But Huawei's advertising blunder would suggest that its P9 Leica camera is not quite at the level of an actual Leica DSLR— or a Canon.